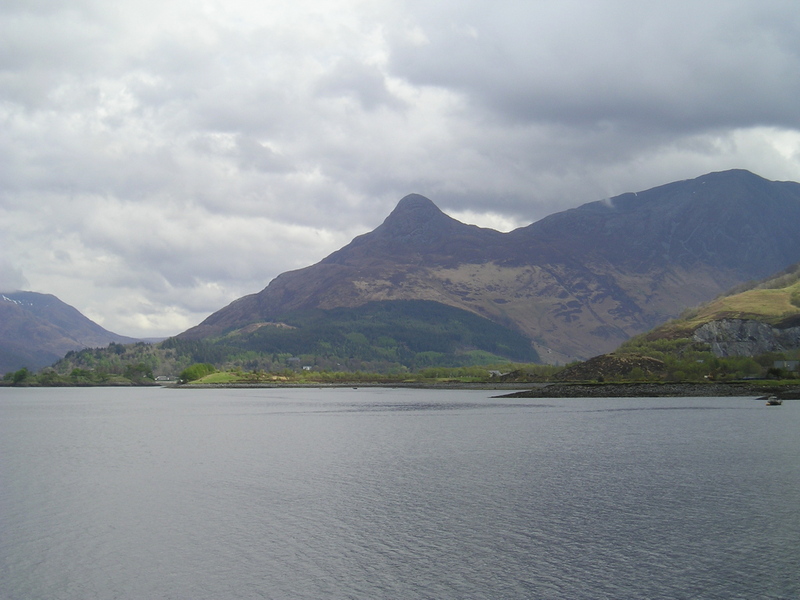 A look this week at one of the most recognisable and attractive looking peaks in the Glencoe area. It’s far from the highest, yet it’s a hill that is well worth the four hours or so that it takes to go up and down. 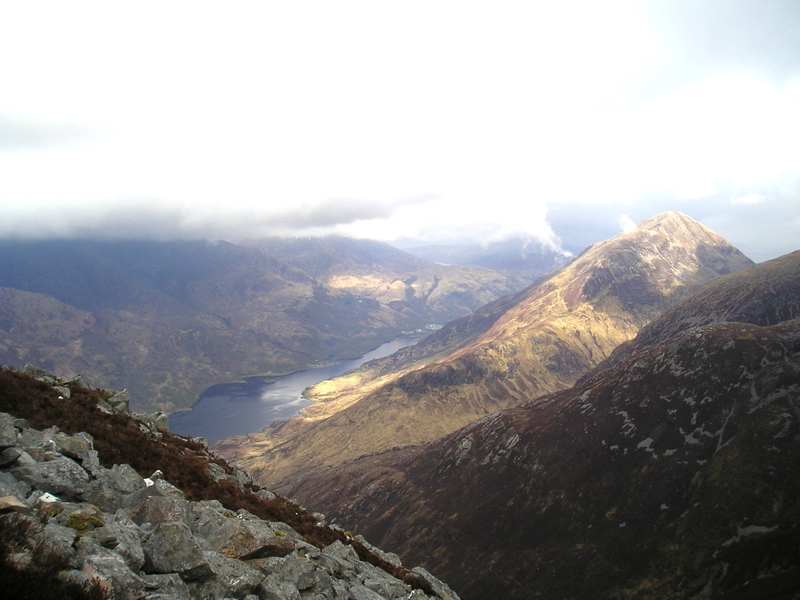 The Gaelic name of Sgorr na Ciche translates as ‘The Rough Peak of the Breast’, which is anglicised as The Pap of Glencoe – wonder why they called it that, then! 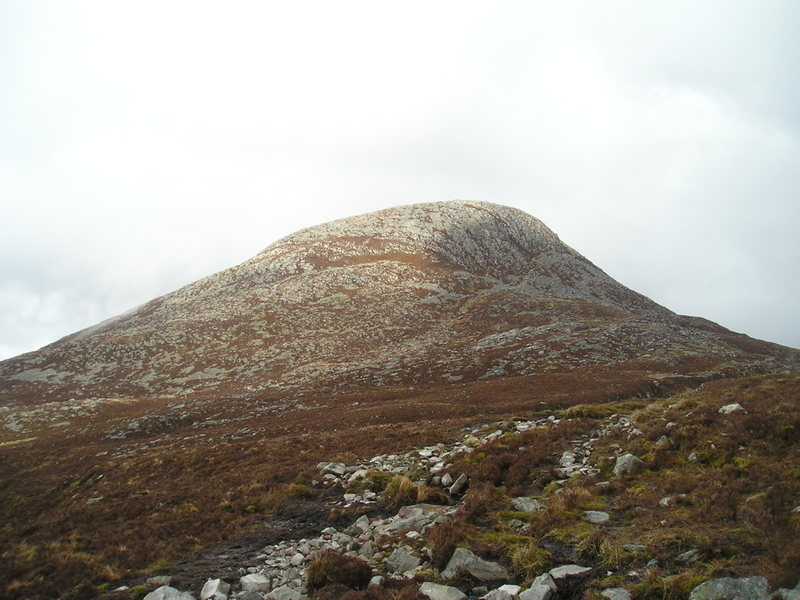 For forty years or so I drove right past Sgorr na Ciche many times, on the way to something else either bigger or more exciting, but I finally got round to doing it a couple of years ago. 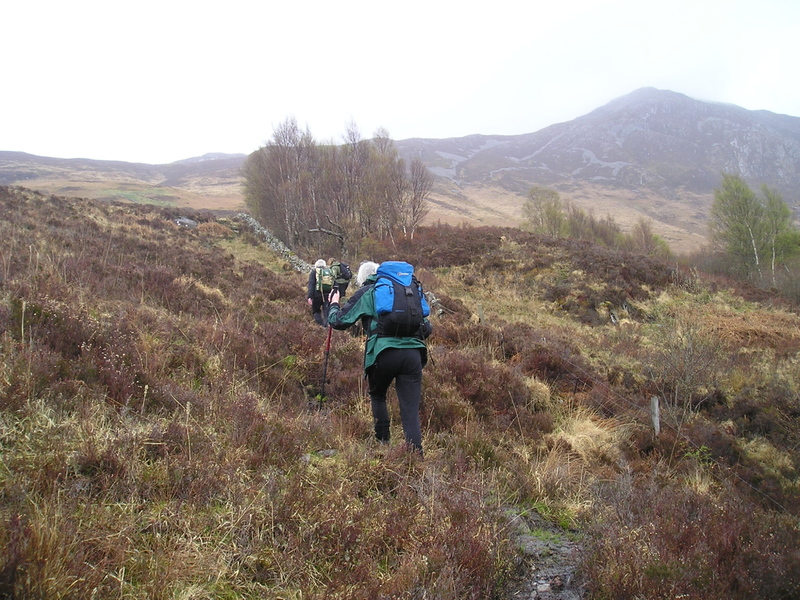 The most convenient start point is the car park in the woods near Glencoe Lochan, with a short road walk to the start point. 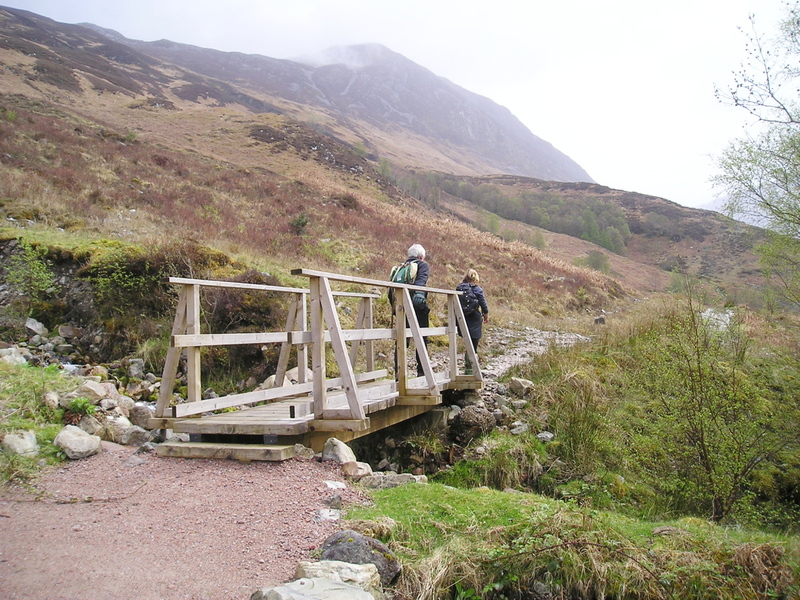 A footbridge marks the start of the ‘proper walking’ and a gradual rise up a stony path leads to a crossing of the Allt a Mhuilinn (Stream of the Mill) – beyond there the height gain gets a bit more serious. 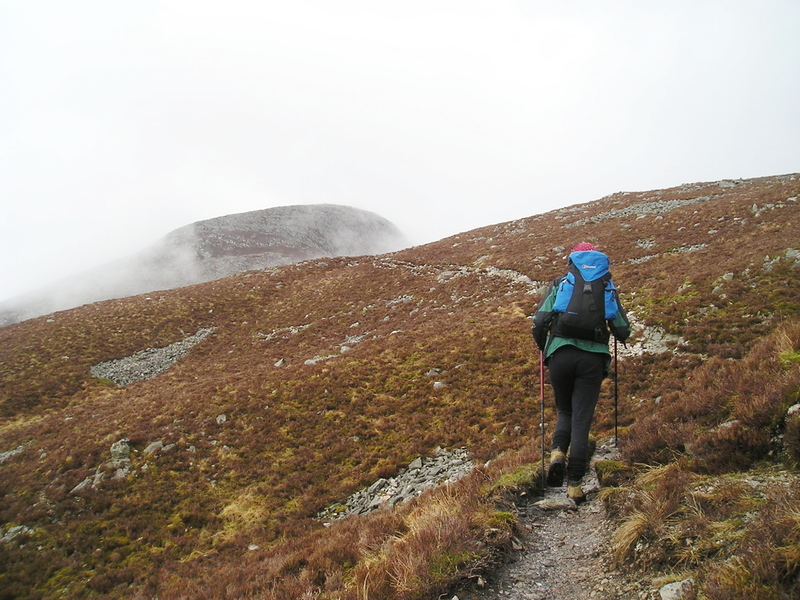 The path gets narrower, the hill gets steeper…. ….but the view gets better and better! 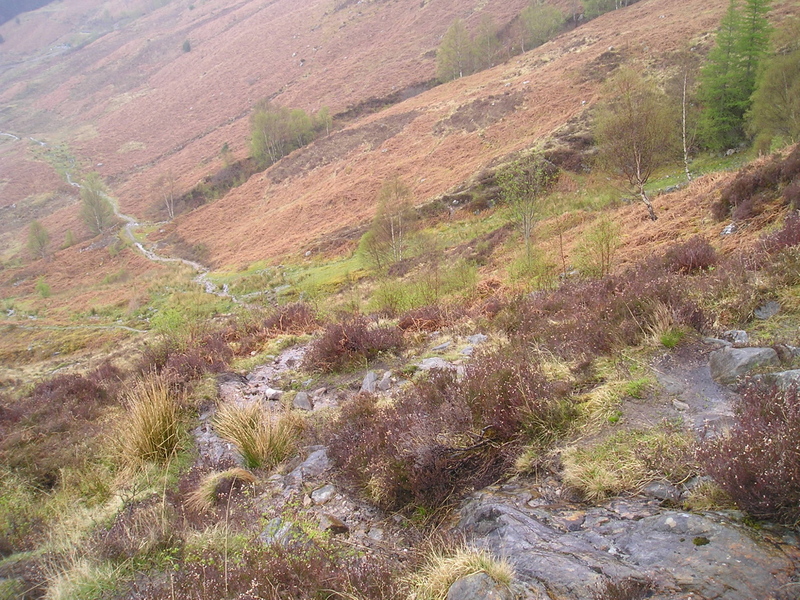 There are several paths making their way towards the col between The Pap and Cnap Glas (The Green Hillock), but whichever way you go it gets steeper, though not desperately so. Along the way a descending path joins from the right – this is the safe descent route coming off Sgorr nam Fiannaidh, the last peak of the Aonach Eagach Ridge (see #52). At the col the path crosses a gully which is the upper part of the Allt a Mhuilinn. Beyond there, a path can be seen heading towards the northeast end of the broad summit – this is by far the most straightforward ascent, and the way that most people go. There are, however, scrambling opportunities in the rock band that the path avoids, at about Grade 1 standard, so it’s a case of take your pick. 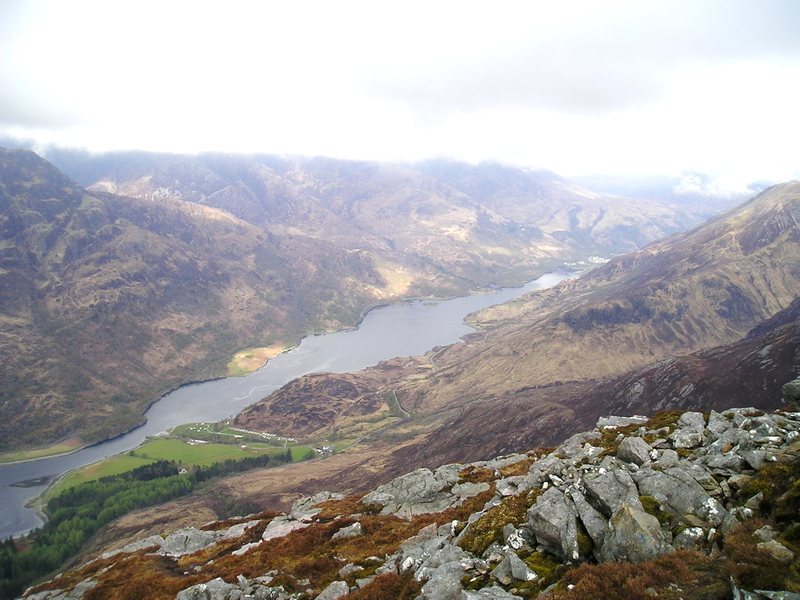 Staying on the path has the advantage of an early view towards Garbh Bheinn and Loch Leven. 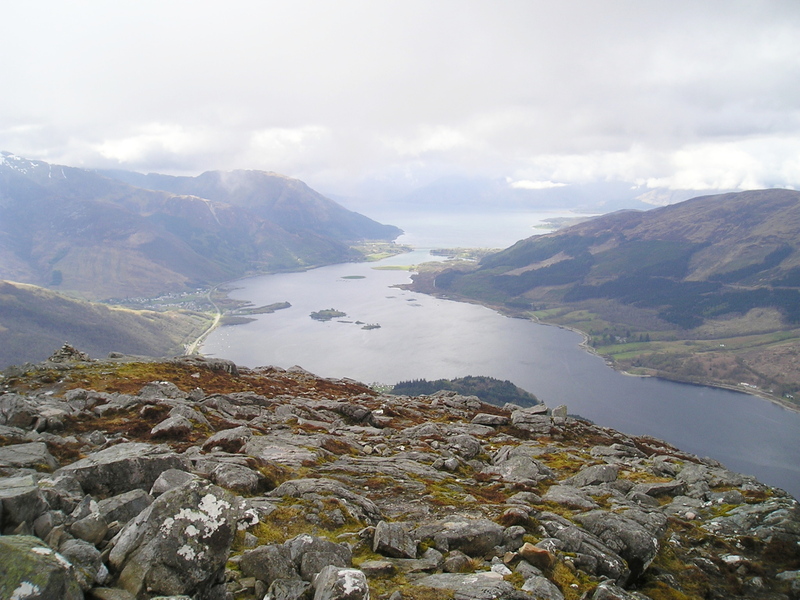 The summit is rounded, and much bigger than the views from Ballachulish might have suggested. 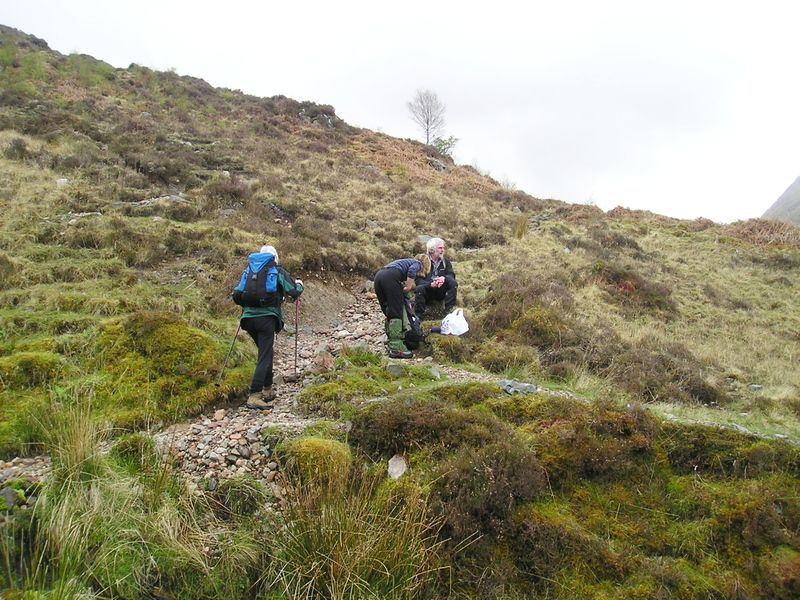 For many, the way up is also the way down, but on our trip we located a narrow path descending to the west. This gets steep in places, but never in a life threatening way! 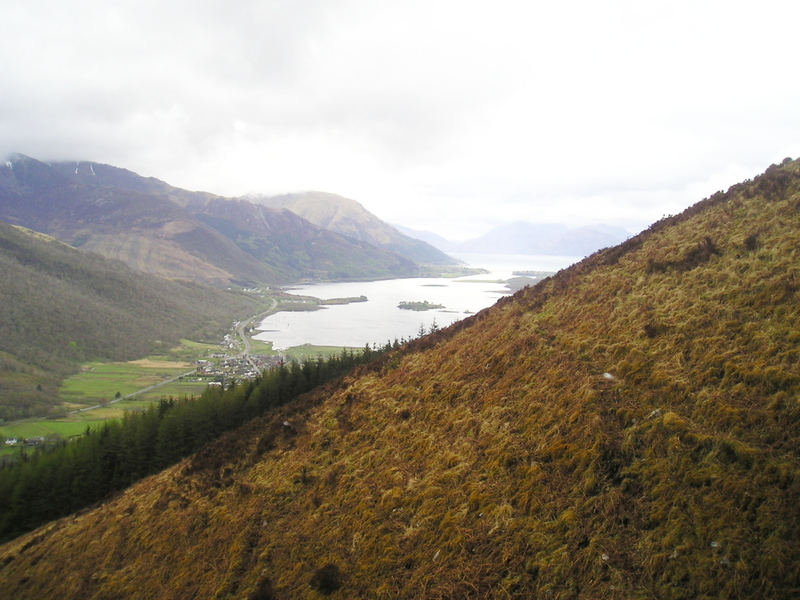 As well as bringing in a bit of variety, the views down to Glencoe Village and Loch Leven are constantly changing, It’s good, though, when the descent finally starts to level out towards the footbridge near the start. 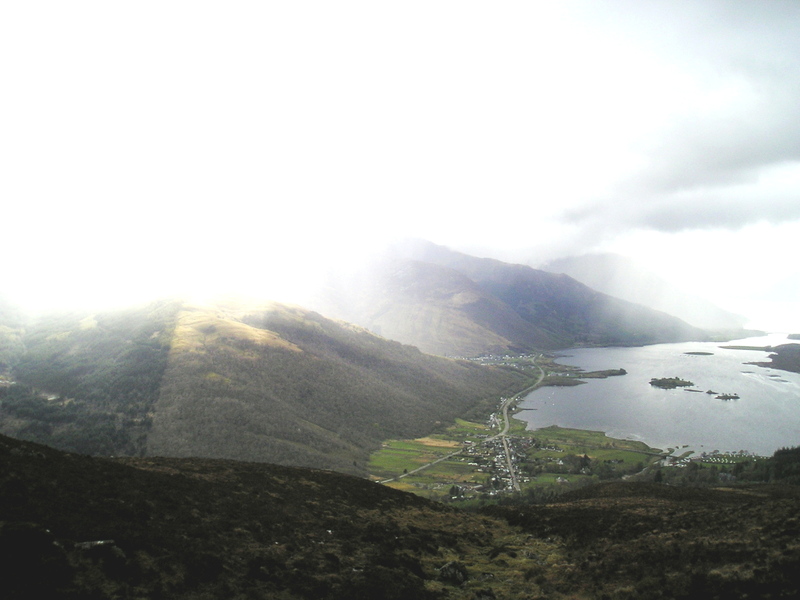 The walk up ‘The Pap of Glencoe’ is far quieter than might be expected – if this was the Lake District you wouldn’t be able to move on the top for other walkers! 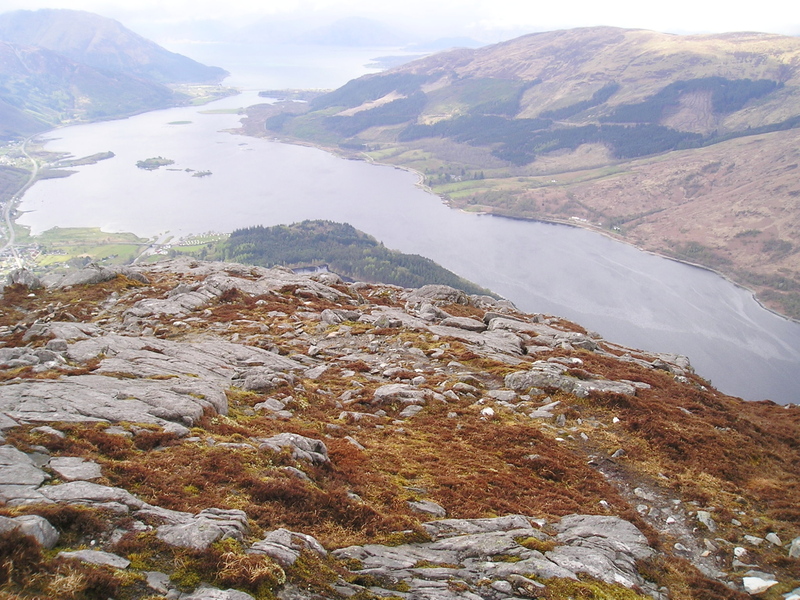 Don’t be deceived though – a walk of 7.5 kilometres (4 ½ miles) up a peak a mere 742 metres high, might be seen as a suitable after-dinner stroll, but the walk starts at 10 metres above sea level, and it’s ‘up’ all the way until you reach the top! 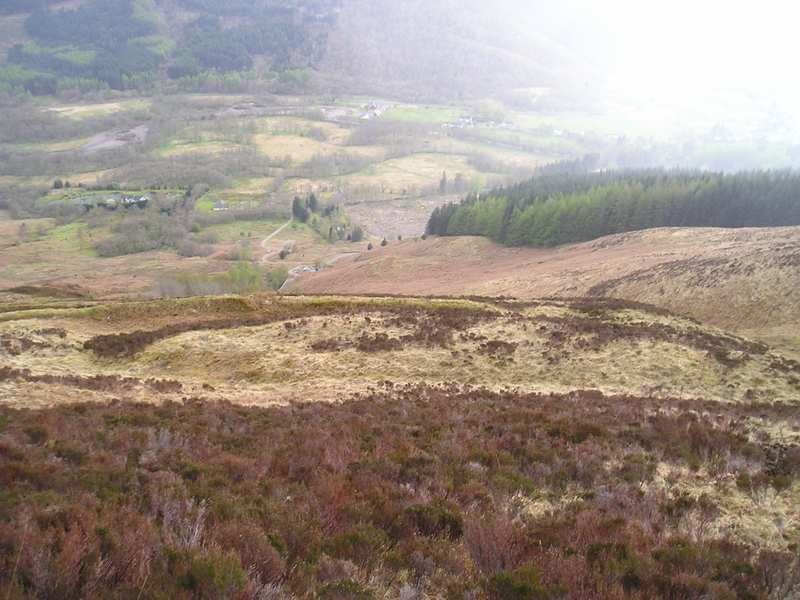 That said, it’s a grand hill, worth walking for the views alone – just don’t wait forty years as I did! This entry was posted in 1. 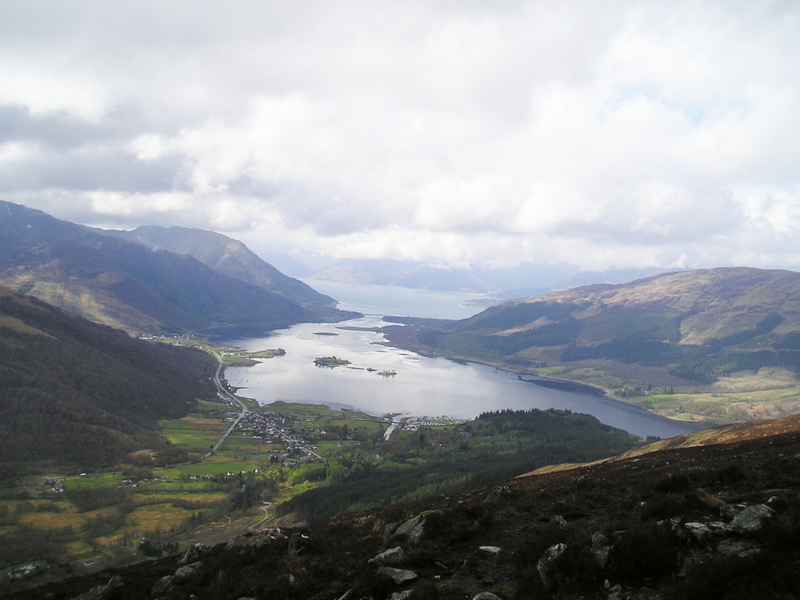 Scotland and tagged Glencoe, hillwalking, mountains, photography. Bookmark the permalink. 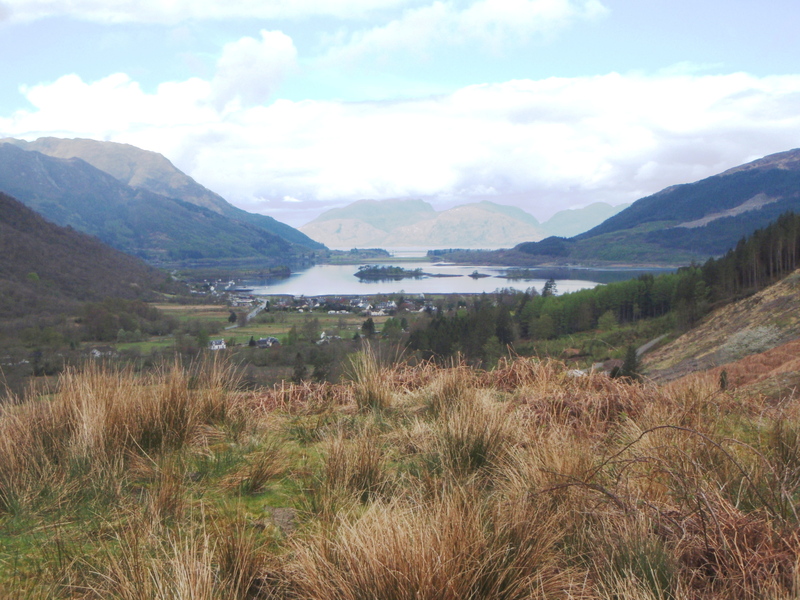 Superb views – inspired us to try that one next time we are in the area, instead of just looking as we drive past. The weather wasn’t up to much for pics the day we did it, but with those views you can’t go wrong. It’s surprisingly big for a small hill though – starting near sea level is one reason, but it’s hard trying to appreciate the scale from below with an isolated peak like that. 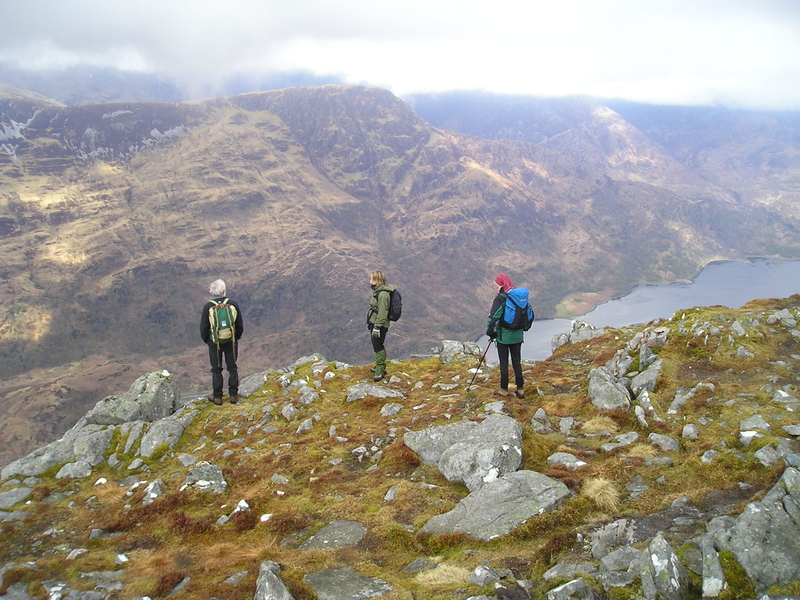 One of the best walks we ever had was on Sgurr an Airgid in October 2009 (pics on flickr and video on Vimeo if you are interested). A great value for money Corbett starting at low level. We were very lucky with the weather.